Filed under: Crocus, New Products. 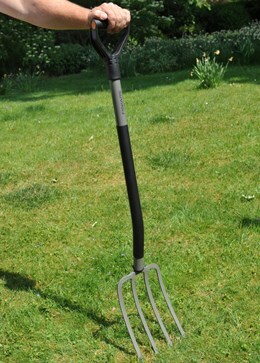 The broadfork is a useful garden tool for loosening your soil without damaging. Simply push broadfork tines into the ground and with two hands pull back on the handle like a lever and the tines will rise through the soil making it less compacted. Measurements: Width: 4cm Length: 62cm The Dutch are rightly regarded as makers of the finest gardening tools. De Wit have been around longer than anyone. They started in 1898 and the 4th generation of De Wits are now in charge of the business; one is a trained wood turner, the other trained as a blacksmith. De Wit forge their tools from carbon steel in the traditional way. Carbon steel is naturally tougher than stainless steel and is not prone to metal fatigue. De Wit also burnish their steel. This not only helps to protect it for longer but gives it a patina that blackens it – just like traditional English tools from the Edwardian era. All De Wit tools have turned hardwood handles of oiled Ash. Ash is not only very strong but resists shock better than woods like oak or beech, which is why it was traditionally used for Axe handles. 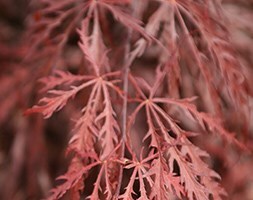 Position: partial shade or full sun (but not south-facing) Soil: fertile, moist, well-drained neutral to acid soil Rate of growth: slow-growing Hardiness: fully hardy A pretty little tree, this has feathery, garnet-coloured leaves that turn bright scarlet in autumn and look as if they have been shredded. 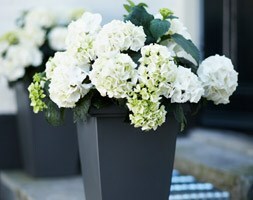 Its rounded, compact habit makes it a perfect focal point for a small garden, particularly in a container. Or try it alongside an ornamental pool, where its sculptural shape will be reflected in the water. It needs a sheltered spot, away from strong winds or scorchingsun, though its leaf colour is best enjoyed in a sunny position. Garden care: Add a top-dressing of a multi-purpose fertiliser around the base of a newly planted tree in late spring and keep well watered. No routine pruning is necessary. No routine pruning is required, just remove any dead, damaged or crossing branches in late autumn or winter when they are fully dormant. Position: full sun Soil: fertile, humus-rich, moist, well-drained soil Rate of growth: average Flowering period: July to September Flower colour: golden-yellow Other features: excellent cut-flowers Hardiness: fully hardy Subtly-scented, golden-yellow flowers appear for several months from midsummer contrasting beautifully with the lustrous, dark green leaves. This standard rose, which has an 80cm clear stem, will make an ideal gift for a fiftieth (golden) wedding anniversary. Flourishing in full sun in fertile, moist but well-drained soil, it looks wonderful when placed in a large pot on a patio, or when used as a centre-piece to the planting scheme. 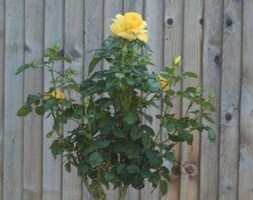 Supplied as a bare root plant, This standard rose has an 80cm tall clear stem. Garden care: If planting in winter, choose a frost-free spell when the soil is not frozen. Roses are quite deep-rooted plants so dig a deep hole roughly twice as wide as the plants roots and mix in a generous amount of composted organic matter. A top-dressing of a general purpose fertiliser can be worked into the surrounding soil and we also recommend using Rose Rootgrow at this stage to encourage better root development. This is particularly important when planting into a bed where roses have previously been grown as Rose Rootgrow is said to combat rose sickness (aka. replant disease). 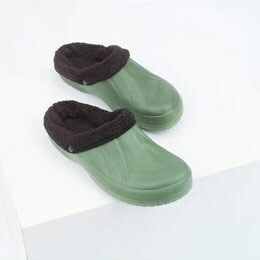 The gardener’s shoe are ideal for use in cold, warm, wet and dry conditions. Tough hard wearing EVA construction with comfortable wool lining which also provides extra warmth. 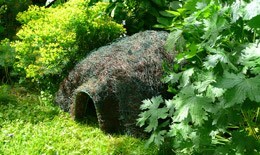 The wool liner is removeable and machine washable to keep clean which makes it ideal for all weather conditions. Please be aware due to the thick wool lining you may need to order a size larger than your usual shoe size. 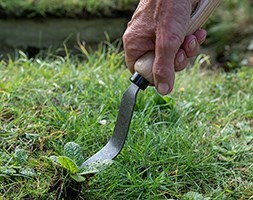 This De Wit weeding fork is ideal for pulling out nasty weeds from your lawn. 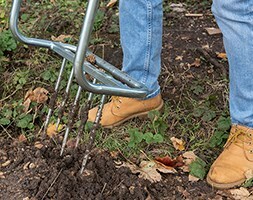 The 2 sharp prongs allows it to get under the roots of plants and other tricky weeds. 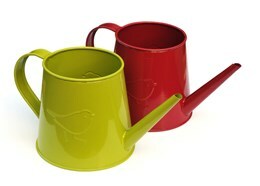 Measurements: Width: 8cm x 4.5cm Length: 29cm The Dutch are rightly regarded as makers of the finest gardening tools. De Wit have been around longer than anyone. They started in 1898 and the 4th generation of De Wits are now in charge of the business; one is a trained wood turner, the other trained as a blacksmith. De Wit forge their tools from carbon steel in the traditional way. Carbon steel is naturally tougher than stainless steel and is not prone to metal fatigue. De Wit also burnish their steel. This not only helps to protect it for longer but gives it a patina that blackens it – just like traditional English tools from the Edwardian era. All De Wit tools have turned hardwood handles of oiled Ash. Ash is not only very strong but resists shock better than woods like oak or beech, which is why it was traditionally used for Axe handles.